Home › TV › Why Do Alabama and Georgia have 2-18 on Their Jerseys in the Championship Game? 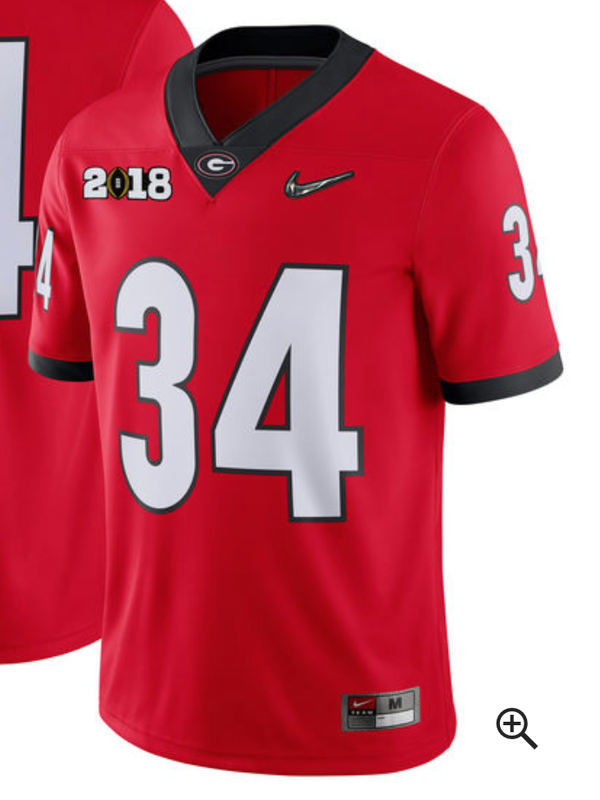 Why Do Alabama and Georgia have 2-18 on Their Jerseys in the Championship Game? Well, it looks like the designers from last year did not learn their lesson. Instead of making he 0 of 2018 an actual zero, they made it the top of the CFP Championship trophy again. Now, millions of people are asking why Alabama and Georgia have 2-18 on their jerseys. They think it might have something to do with February 18th, 2018 or a special date for a coach or player that passed away. It has nothing to do with President Trump, politics, #metoo or anything like that. This has nothing to do with players kneeling for the National Anthem or any of the other controversies. In fact, both Alabama (Nick Saban) and Georgia (Kirby Smart) have been very politically correct when asked about President Donald Trump being at this game. Most of the players on both sides even stated they did not vote. So, don’t make this into a political or social issue. It is the number/year 2018; it’s that easy. Did Margot Robbie Learn to Skate for I, Tonya (Harding) Role? | Why is 2-18 (February 18th?) On the Field of the Alabama vs Georgia Championship Game? It’s just a little hard to see the football that should be the “0”. Well, they should have not tried being so “cute” with it. Looks like a Biblical reference. My husband thought it was too! It is 1/8 not 2/18. What?? ?